Lopez Island oysters are intertidally grown in Shoal Bay on Lopez Island, Washington, which is itself part of the beautiful San Juan Island chain located in the northern portion of Puget Sound. This location is a perfect happy medium for oyster growing. Not only is it directly in the path of the clean, nutrient rich tidal surge that comes in from the Pacific Ocean and up through Canada’s Strait of Georgia, but it is also nestled at the head of a shallow, protected bay for optimum plankton growth. Starting with hatchery produced seed, the farm utilizes a floating bag system to raise the baby oysters for their first six months or so. This minimizes the risk of loss due to weather and protects them from predation, while at the same time keeps them up off the bottom for better nutrient flow. Once they have attained a certain mass they are transferred directly onto the gravelly beaches of Shoal Bay where they spend the next six months or so before harvest occurs. They are produced by a small, family farm that is passionate about their work and proud of the product they produce. The oysters are very clean, uniform, and well-shaped. The water in northern Puget Sound is very salty and the oysters reflect that. 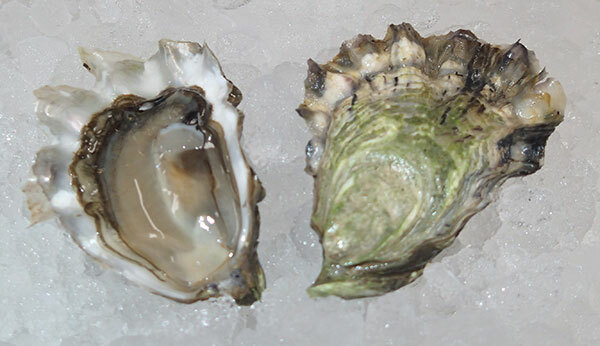 They are also somewhat sweet and they finish with the fruity aftertaste common to the pacific oyster. Lopez Island Oyster - Marinelli Shellfish Co.